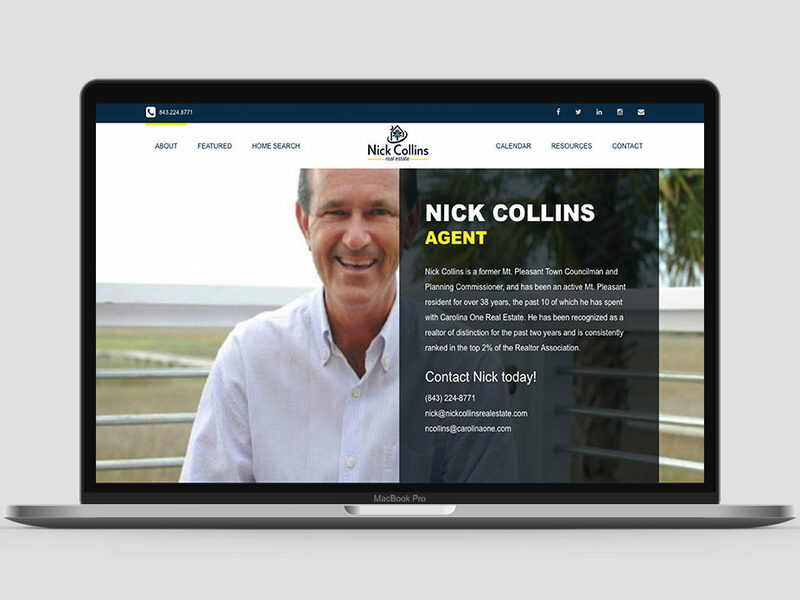 Nick Collins, a busy Carolina One Realtor in Charleston, SC needed to grow a bigger online footprint and expand his business presence. 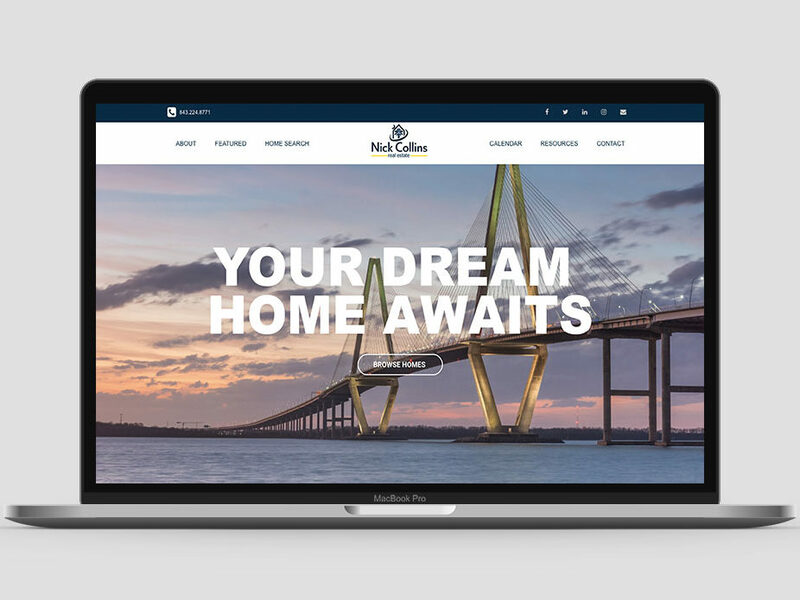 He wanted his own fully-customized website that would help express himself as a real estate agent, and draw in new business opportunities through organic SEO and content marketing. 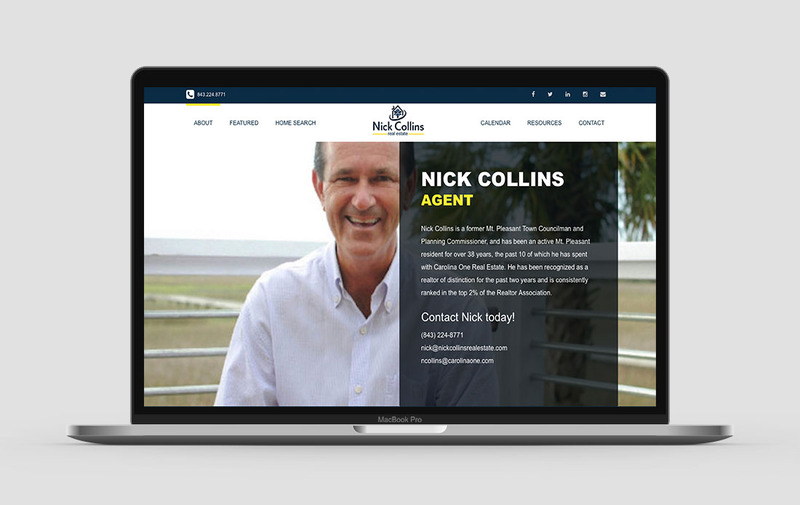 After some research into websites other agents in the area had, I came up with several ideas and got to work. 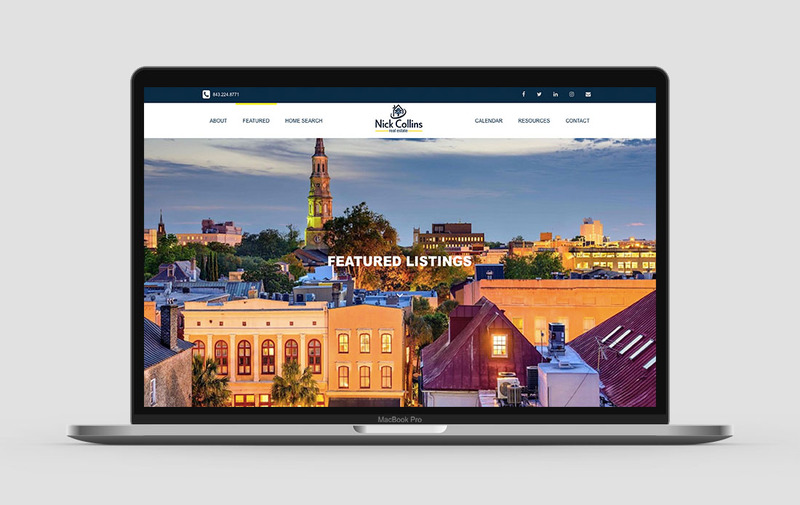 The new logo clearly shows exactly what Nick Collins does, while the colors and typography match with Carolina One’s, and the “palmetto & moon house icon” helps illustrate his presence in SC. 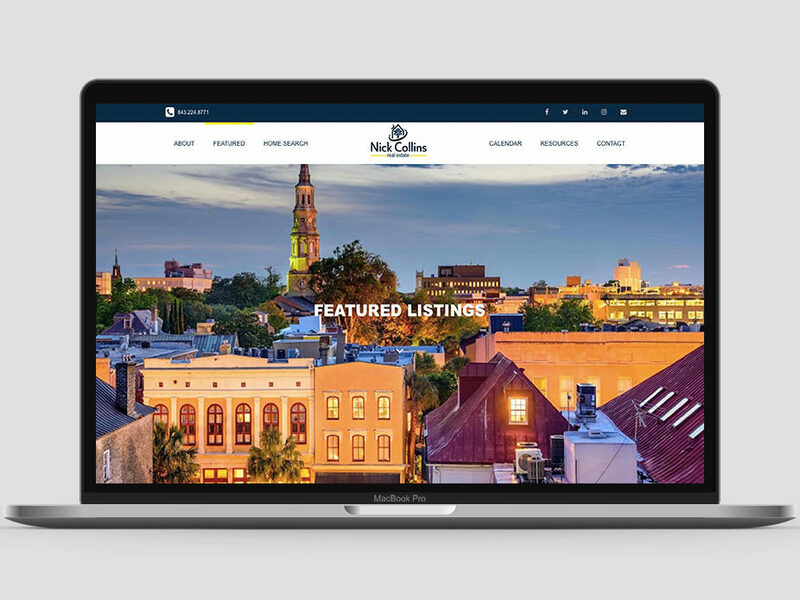 Mr. Collins’ website includes a responsive design with beautiful Charleston area imagery throughout, the ability for folks to view his current listings, recently sold homes, and open house schedule. 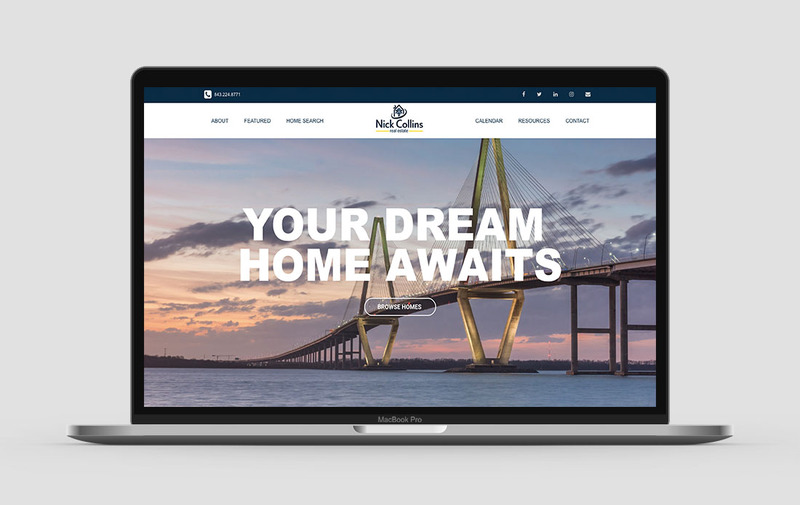 A blog was set up for his content marketing initiatives, and I included a mobile bottom nav bar for ease of use across devices.